Those who know me today are always surprised to learn that, really, I am a very shy person—who has overcompensated. I dislike walking into parties or events where I don’t know anyone and I hate making phone calls that are at best lukewarm. But do both all the time. Phone calls, especially, make me hyperventilate. In truth, I was over 30 before I could pick up the phone and make a call. Answering the phone was bad enough, but initiating one…terror. Then, because I am nothing if not perverse, I started selling insurance. And I had to make calls—cold cold calls—with great regularity. In order to make myself do that, I started with a script. And I kept it simple. What did I want from the call? That was easy—an appointment. Why did I want this? To get a client. What would happen if the person said no? I would shrivel up and die. No, of course not. I would feel badly, and then I would pick up the phone again and make another call. A colleague of mine built up a very strong grantwriting practice by getting a list of nonprofits and calling. Her pitch? “Hi, I write grants. Can we meet and discuss if I would be a good grantwriter for you?” Simple. I like that. And that’s what I did with insurance. When I got into fundraising, my purpose for calling prospects was pretty similar to my purpose in calling prospects for insurance—in this instance, I wanted to turn that prospect into a donor. While I couldn’t exactly call and say, “Hi, I’m a fundraiser. Can we meet and discuss a gift?” I could, however, ask for a meeting to see if some of what was happening at our organization—or if any of our future plans—fit in with their goals and aspirations for my organization or cause. The problem, for me, was that what to say wasn’t as clear-cut as I was used to. So I would avoid making those calls, until I could avoid it no longer. At first, I would sit with my list of prospects, and commit to making 10 calls. And if I got no answer or—miracle of miracles—I was able to set up a meeting, I could keep going. But the first no, shut me down. I would then try to second-guess which name on the list would be most receptive. Now she had made a commitment to call, and she had her script in black and white. Quite frequently I get, “I didn’t see any email.” That’s fine. “Oh, sorry. It was about…” and then I can read the email to them. Never, ever, offer to send it again. They won’t get that one either! By creating a situation where I feel more comfortable about work that I have to, but don’t really want to, do, I find my fear level about phone calls has gone way down. Better still, my comfort in what I am doing shows through, making the person I am calling more comfortable also. And while No’s still outnumbered Yes’s, the gap became much smaller. And, because I made more calls, I got a whole lot more appointments. 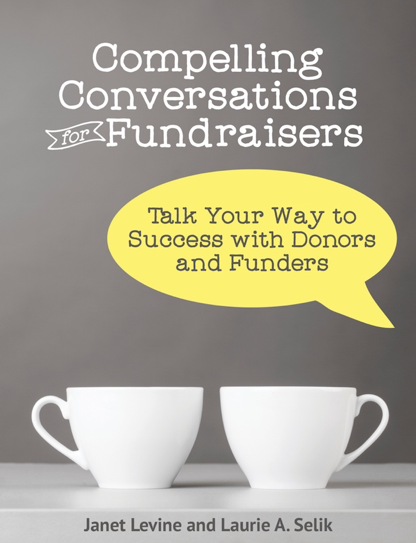 Janet Levine works with nonprofits helping to increase fundraising capacity and success rates. Learn more at http://janetlevineconsulting. Contact her at janet@janetlevineconsulting.com. This entry was posted in fundraising and tagged cold calling, fundraising, Goal-setting, productivity, prospecting, shyness, success. Bookmark the permalink.